Introducing the biggest WordPress club in the world, by far! Get this awesome bundle today for an unbelievable price of just $42,446 $37. Yess!!! Just 0.1% of the actual cost. So hurry... Buy it now for $37 only!! Why Choose The Latest WordPress Themes Bundle? These WordPress Themes are easy to use, manage, and customize. These come packaged with an easy-to-use theme options page. You can manage your site without needing to edit code. This deal of the latest WordPress Themes comes with the commercial license. 1-year updates and support provided. Maximize your revenue with the least amount of work, time, and money spent. 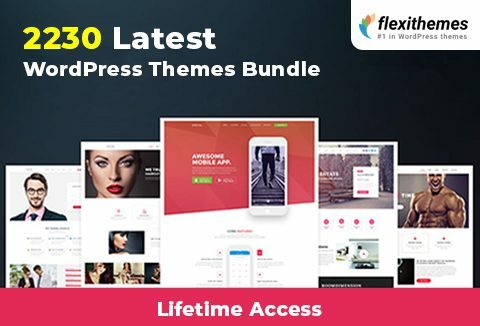 Pay just 0.1% of the actual price and secure these multi-purpose themes bundle. At A Price Of $37 Only! Lifetime Access, OK. 1 year support? What does that involve? How much $$? Sorry for the late reply. This deal is priced at $37. is the update only for one year? Sorry for the late reply. Yes, the updates are included for 1 year.